Happy Phirr Bhag Jayegi's first song 'Swag Saha Nahi Jaye' is out ! Happy Phirr Bhag Jayegi’s first song ‘Swag Saha Nahi Jaye’ is out ! 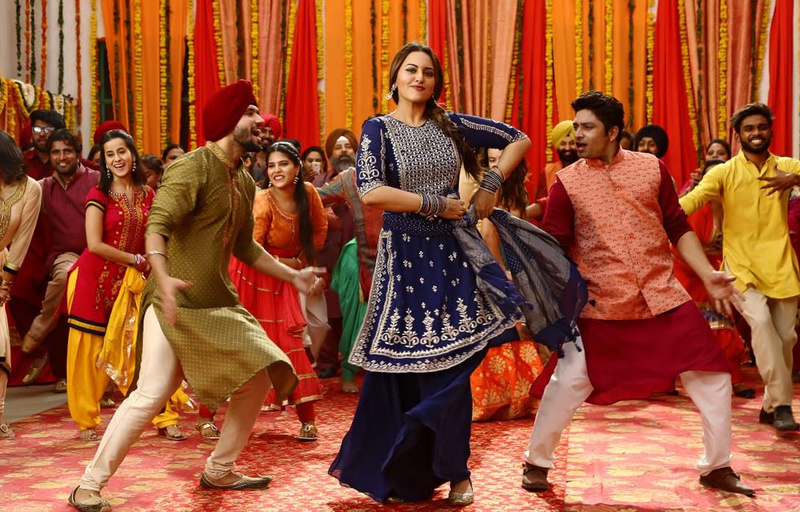 The makers of the laughter riot, Happy Phirr Bhag Jayegi had launched the first song, Swag Saha Nahi Jaye, from their highly-anticipated movie tomorrow. Featuring Sonakshi Sinha, Jassie Gill, Jimmy Shergill and Piyush Mishra, the Punjabi track will be launched tomorrow. Presented by Eros International and Aanand L Rai, A Colour Yellow Production, Happy Phirr Bhag Jayegi hits the theatres on 24th August. #SwagSahaNahiJaye iss Amritsar Wali Happy da!